Can’t Remove Lavasoft Adaware Secure Search? This page includes detailed Lavasoft Adaware Secure Search Removal instructions! Lavasoft Adaware Secure Search is a deceptive application. It promises to shield you from online threats, but ironically, it opens your web browser to deceptive advertising. Security experts categorize this app as a PUP (Potentially Unwanted Program). There is nothing potential in your situation, though. Lavasoft Adaware Secure Search is a complete and utter menace. It has no place on your system. As soon as this PUP enters your computer, corruption follows. The parasite throws you into a whirlwind of reshuffles. It replaces both your default search engine and preferable homepage. The parasite forces you to use a customized search engine which displays sponsored links among the search results you are provided with. The PUP, of course, doesn’t mark the advertising content as such. You can never be sure which results are organic and which are ads. Do you think that ends well? The PUP follows programming to turn you into an easy target. This parasite uses unethical marketing strategies to turn you into a customer. Lavasoft Adaware Secure Search studies your browsing habits and bombards you with targeted ads. It injects various customized in-text and banner ads on every website you visit. It also loads notifications and plays video commercials. It floods your browser with sponsored content. Do not put up with this situation. Do what’s best for you and your computer. Delete the parasite ASAP! How did I get infected with Lavasoft Adaware Secure Search? Lavasoft Adaware Secure Search does not target individual victims. No, this parasite has other plans. The PUP uses mass distribution strategies to reach a broad spectrum of potential victims. It lurks behind corrupted links, fake updates, torrents, and bundles. The PUP hides in the shadows and waits for an opportunity to attack. It strikes when you let your guard down. Do not make that mistake! No anti-virus app can protect you if you throw caution to the wind. Only your actions can keep your OS secure and virus-free. Don’t visit questionable websites. Download software from reliable sources only. And don’t skip installation steps. Forget about the “Next-Next-Finnish” strategy. More often than not, the apps we download off the Web come bundled with bonus software. If you rush, if you don’t pay attention to the red flags, you might install malicious bonuses. Do not give into naivety. If available, use the advanced/custom setup option. Under it, you would be able to deselect all unwanted extras. Make sure you know what you install. Read the terms and conditions before you agree to them. If you cannot go through the whole document, scan it with an online EULA analyzer. Opt out of the installation if you notice anything suspicious! Why is Lavasoft Adaware Secure Search dangerous? Lavasoft Adaware Secure Search is a nightmare. It slithers into your OS and makes a mess out of your browser. The PUP floods you with countless advertisements. It injects in-text and banner ads on every website you visit. You would notice that even web pages that used to be ad-free get heavy on coupons and discounts. Pop-ups and notifications pop up out of the blue. Even your videos get paused for commercial breaks. That’s the nature of the PUP. It gets paid when you visit a sponsored website. So, don’t be surprised when it starts loading third-party into new tabs. This annoying interruption, of course, takes a toll on your device. Lavasoft Adaware Secure Search burdens your browser. The PUP makes your poor browser prone to freezing and crashes. Sadly, there are other potential risks. The PUP is not a mere annoyance. This invader threatens to steal sensitive information and to expose it to criminals. Lavasoft Adaware Secure Search spies on you from the moment it invades. It monitors your browsing activities and uses the collected data as a base for ad targeting. The PUP, however, doesn’t keep this information confidential. Anyone willing to spend some money can use it to target you. As you can imagine, hundreds of crooks take advantage of the PUP and its resources. These criminals show you what you want to see, but when you click, bad things happen. Do not risk ending up in their online traps. Spare yourself many future headaches, remove the PUP right now! How Can I Remove Lavasoft Adaware Secure Search? If you perform exactly the steps below you should be able to remove the Lavasoft Adaware Secure Search infection. Please, follow the procedures in the exact order. Please, consider to print this guide or have another computer at your disposal. You will NOT need any USB sticks or CDs. Locate the Lavasoft Adaware Secure Search program and click on uninstall/change. To facilitate the search you can sort the programs by date. Review the most recent installed programs first. In general you should remove all unknown programs. Navigate to C:/Program Files and delete Lavasoft Adaware Secure Search folder. Double check with any antimalware program for any leftovers. Keep your software up-to date! Lavasoft Adaware Secure Search may have the ability to replicate itself, if not completely cleaned. This may require tracking down hundreds of files and registry keys. 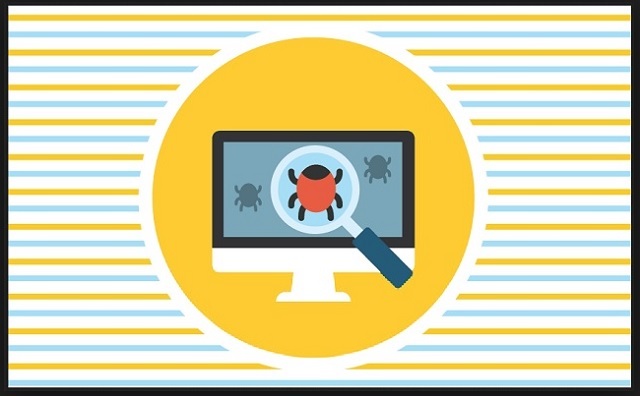 You can choose to use Spyhunter Professional Anti-Malware Program to deal with any infection that might be lurking along with Lavasoft Adaware Secure Search!